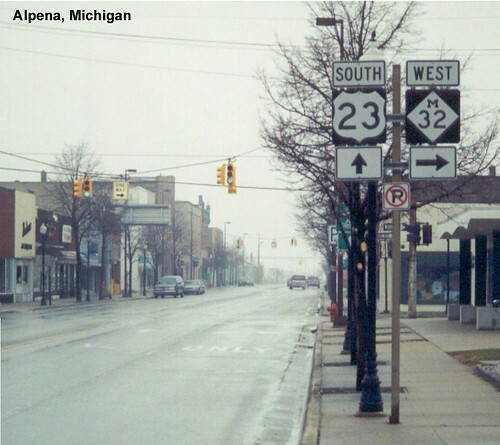 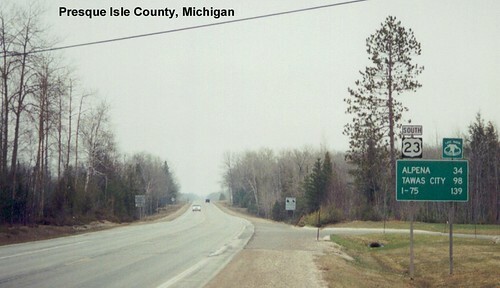 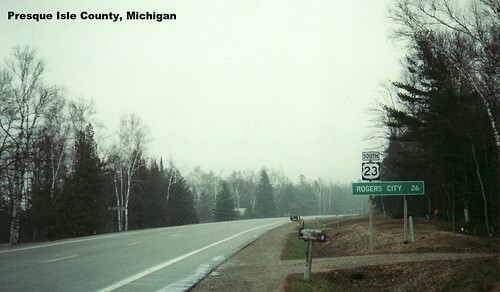 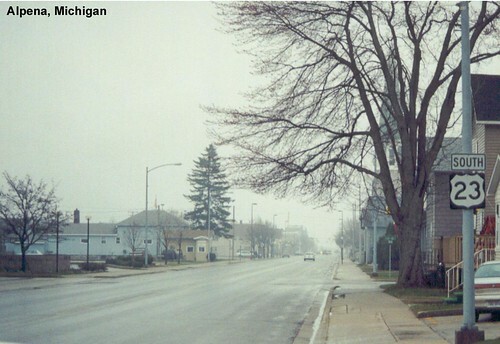 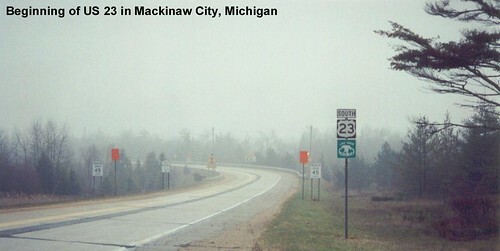 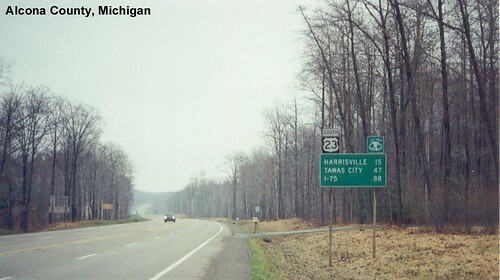 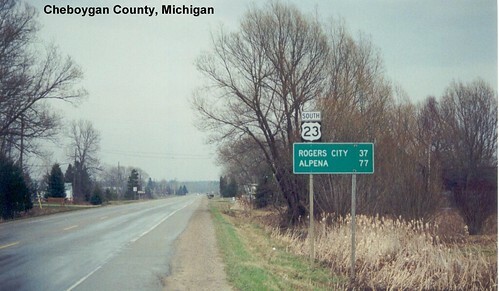 US 23 begins in Mackinaw City. 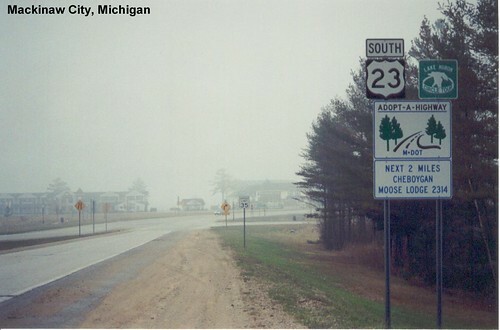 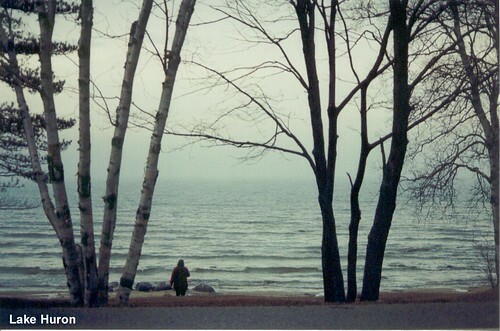 Lake Huron is straight ahead but is hidden by the fog. 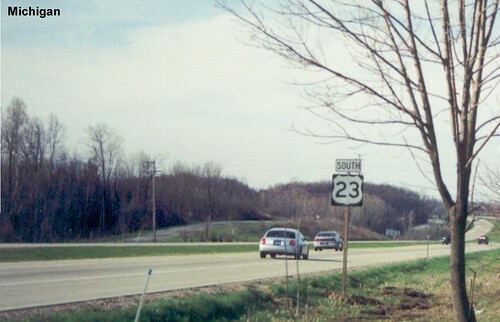 After passing through Standish US 23 becomes a freeway for the rest of its journey south to Ohio.